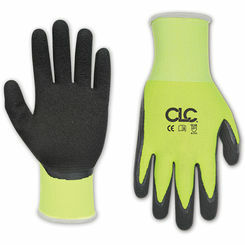 Save on the best work gloves online and protect your hands from blisters, heat, sharp edges, or other potential hazards. PlumbersStock offers the best tools available anywhere on the internet, so shop around and find the ideal safety gloves for your project. 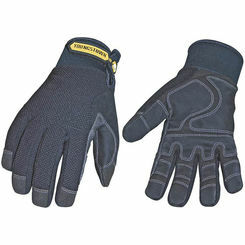 The best work wear offers either protection to the worker, or improves performance. 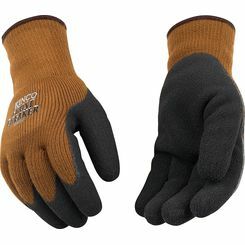 We carry great brands like Greenlee and Milwaukee when you buy work gloves at PlumbersStock.com. For anyone who has ever worked with power tools, gardening tools, or even handheld tools, work gloves are an essential component that ensures safety and protection for the user. 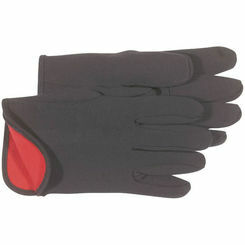 Work gloves are durable and built to last through the harshest conditions, from extreme temperatures to sharp edges that would easily rip soft materials. Work gloves offer more than just protection—they also offer better grip against vibrating tools to help you do the job efficiently. 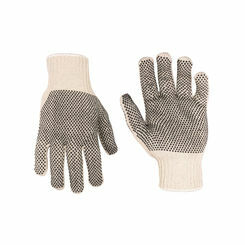 Every handyman should have a pair of gloves in his or her toolbox. 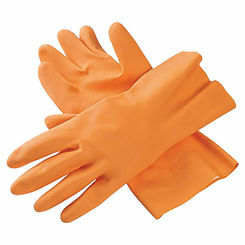 Whether you’re looking to purchase new gloves or replace worn ones, there’s no better place to shop than PlumbersStock.com. We offer the lowest prices on top brands like Milwaukee and Greenlee so you can have peace of mind knowing you’re purchasing top quality gloves at a price you can afford. 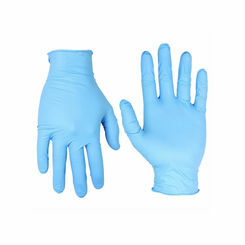 Disposable – Disposable gloves are good to use when working with mild irritants. 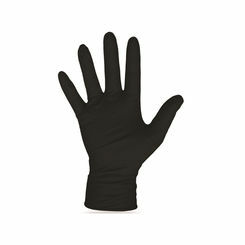 These gloves are made of lightweight latex but can also come in vinyl or nitrile rubber material if you’re allergic to latex. 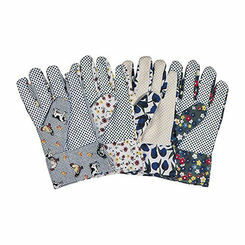 Fabric – Fabric gloves include gloves made of cotton or synthetic fibers. 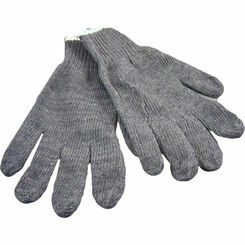 These gloves are typically used to enhance grip when handling slippery objects and can help buffer your hands from mild heat or cold. 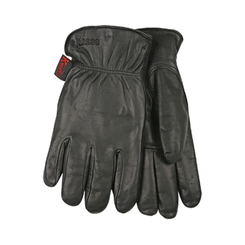 Leather – Leather gloves are heavy, durable gloves used to guard against injuries, which may result from sparks, sharp, or rough edges. 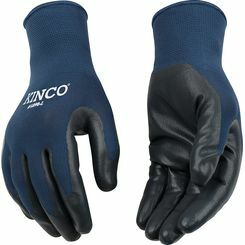 Additionally, many leather gloves come insulated with a thin liner to provide protection when working with live circuits and electricity. 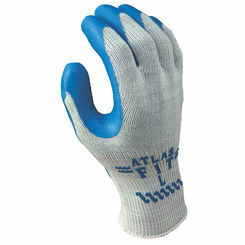 Metal Mesh - Metal mesh gloves are specifically designed to guard against cuts and scratches that may result from working with tools with sharp blades. 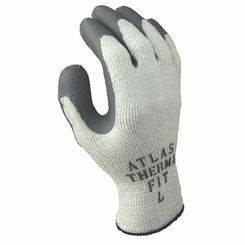 Aluminized – These gloves are made of an aluminized fabric that’s designed to keep hands comfortable in intense heat. 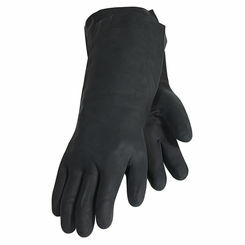 Because of this, these gloves are most commonly used by people working with molten materials and tools. 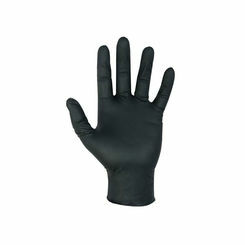 Chemical Resistance – Chemically resistant gloves are designed out of rubber, neoprene, or polyvinyl alcohol materials, to name a few. 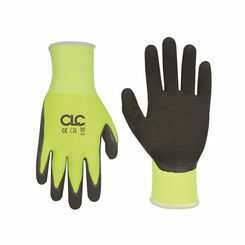 These gloves are meant to protect hands from harsh chemicals such as corrosives, oils, and strong solvents. 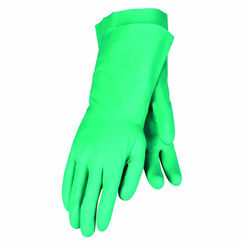 There are various gloves designed to work best with certain chemicals. Make sure you research on the chemical you’ll be working with before you purchase chemical resistance gloves. This is especially important if you know you’ll be submersing your hand within the chemical. 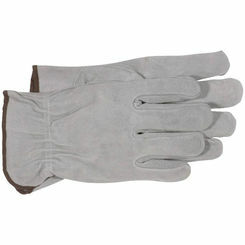 Work gloves are made of many different materials. While some offer different features than others, they are all meant to protect your hands and keep them safe from outside hazards. 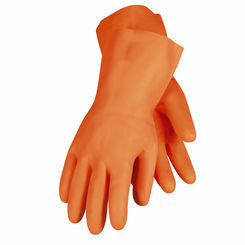 Whether you’re looking for leather gloves to protect against electric charges or fabric gloves to improve your grip, PlumbersStock has everything you need to work safely and efficiently. 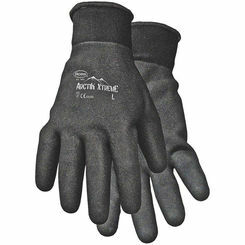 Browse through our selection of work gloves and save big when you shop with the tool experts.